Use a specially engineered circuit adapted from the larger SHAKTI Stabiliser. The On-Lines provide efficient EMI reduction in situations where limited space is a consideration. Placed near automotive CPU’s, the On-Lines have demonstrated the same horsepower improvements as the Stabiliser. In some applications even closer proximity to chips is realised. In audio systems the On-Lines are typically used on all system cables (interconnects, speaker wire, AC cords and video cables). Placement is near the approximate centre and/or connection points. In addition many users who build or modify their own equipment are placing On-Lines on or near critical internal circuit parts such as DAC chips, capacitors and internal wiring. Placement in all situations is facilitated by self-adhering Velcro circles that are placed on the cable or component to be treated. The On-Lines have matching Velcro on them that allows easy attachment or removal. The same ability to maximise audio performance holds true for all types of electronic equipment. 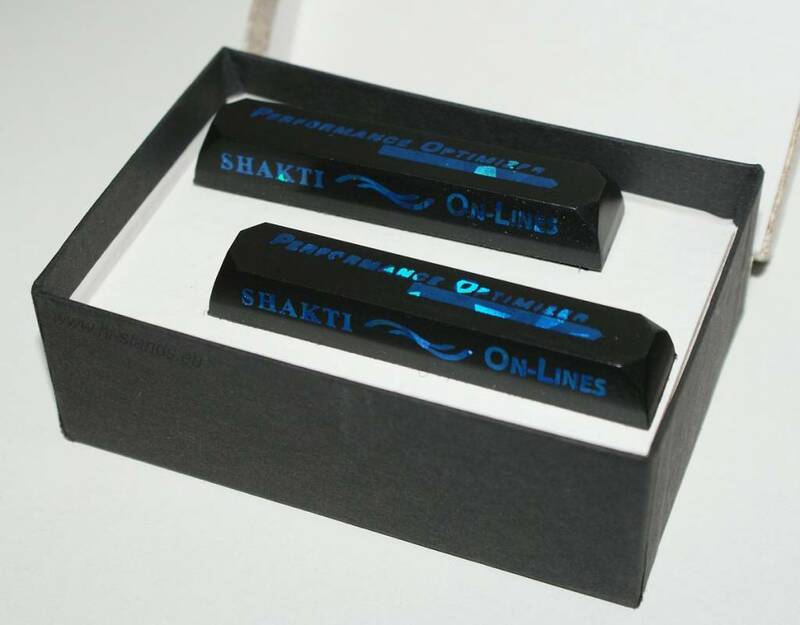 SHAKTI Stones and On-Lines are versatile signal enhancing devices for the 21st century.